Ships tomorrow if you order in the next 18 hours 60 minutes. Feverfew is a flowering plant that has been used for a number of years to help support better overall health. It may provide a number of health benefits, and has been a popular way to help combat headaches and more severe migraines. 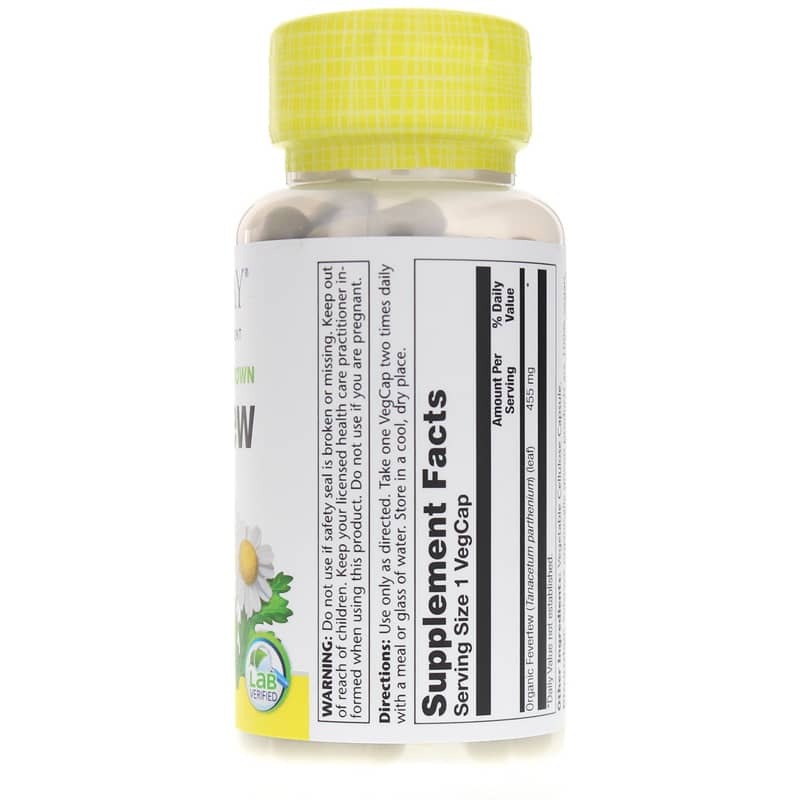 Solaray offers organically-grown Feverfew, an excipient-free dietary supplement that provides all-natural support for the relief of headaches, as well as other health benefits. 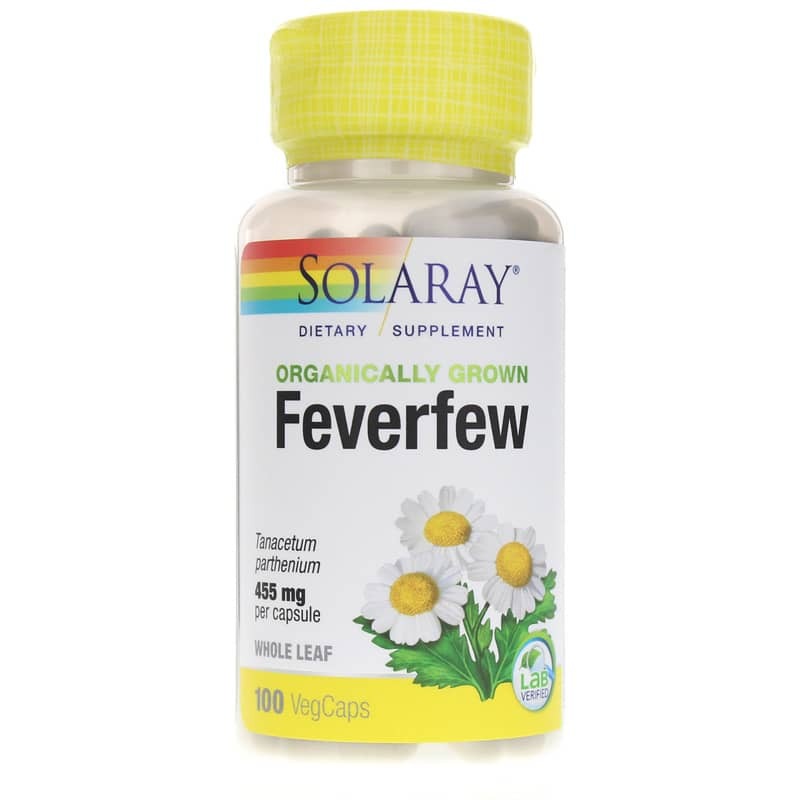 Feverfew from Solaray comes in an easy-to-swallow vegetarian capsule form that should be taken twice daily in support of better health. Give it a try today, and find the headache relief you need. Order now and see the difference it may be able to make for you. Adults: Use only as directed. 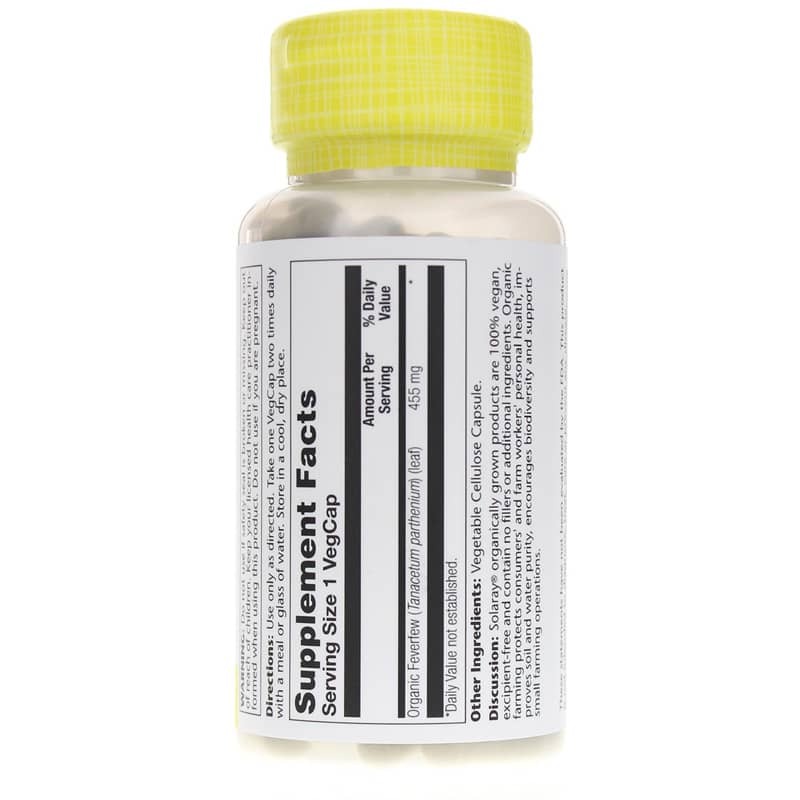 Take one capsule two times daily with a meal or glass of water. Store in a cool, dry place.